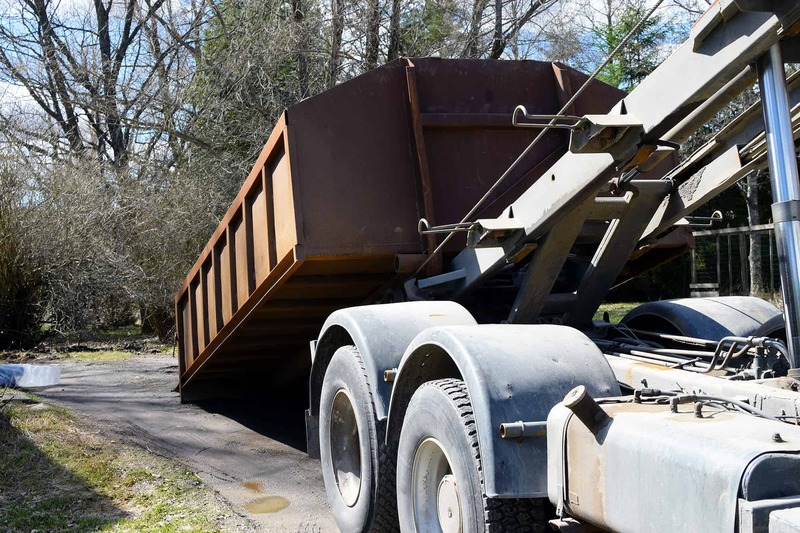 Are you looking for dumpster rental services on Long Island? If so, contact Prestige Contracting! Offering containers of varying sizes at affordable prices that can accommodate all types of debris, you can be sure Prestige Carting will meet your dumpster rental needs. Plus, their level of professionalism and their commitment to excellence can’t be outdone! It’s no wonder why Prestige Carting is the first company Long Islanders call for their dumpster rental needs. Nothing beats fall on Long Island! Brilliantly colored leaves, crisp air, apple and pumpkin picking, harvest festivals galore; it truly is a wonderful time of the year. But while you’re in the midst of enjoying the season, don’t forget to take some time to tend to your yard. With the right preparations, you can save yourself a lot of time and energy when spring comes back around. Here are some handy tips to get you started with your yard cleanup this fall. Those beautifully colored leaves create a huge mess when they fall. Not only can they detract from your curb appeal, but they’re the perfect place for pests to nest over the winter. Plus, they can welcome mold and mildew, which can do serious damage to your lawn and plants. And, acorns and other seeds can sprout into unwanted trees. The best way to make sure everything is disposed of properly is to find a reputable carting service to handle your needs. Clean up all of the debris that collects in your yard during the fall. You’ll keep critters away, avoid damaging your plants, prevent unwanted growth; and of course your landscape will look neat and tidy when it isn’t cluttered with piles of leaves. Autumn is the height of hurricane season here on Long Island. We also tend to get bombarded with heavy snow and ice in the winter. Pruning in the fall can help prevent damage that stray branches can cause in strong winds and blizzards. Once the first frost hits your flower beds or you have picked the last harvest from your vegetable patch, till your gardens. Turning over the land will add vital nutrients back into the soil, making it healthier for new plantings in the upcoming spring. You can further improve the soil conditions by adding compost or fertilizer to the soil before you till. The yard isn’t the only thing that needs to be cleaned in the fall; so do the gutters. Falling leaves, acorns, pine needles, and twigs can easily collect in your gutters. When that happens, they don’t function as effectively, which can lead to serious problems. Gutters play a key role in proper drainage, and if they’re clogged, the foundation of your home can be damaged. Clear out any debris that’s collected in the gutters. Use a hose to rinse out stuck-on dirt, and while you’re at it, check to make sure that the water is draining properly. If you spot any issues, now is the time to have them corrected. If you want a lush, green lawn in the spring, you’ll need to prepare it in the fall. Aerating will break up the soil and allow water and nutrients to reach the roots. After you’ve aerated, feed it. A fertilizer with a high phosphorus content will promote better growth so you can enjoy a beautiful lawn when spring returns. If you have spring and summer perennials in your garden, trim them back. Leaving the dead foliage in place will only attract critters; plus, it looks like an eyesore. If you want to grow your gardens, you might also want to consider dividing those perennials and adding them to other locations. Doing so will save you a lot of time and money in the spring. Ornamental grasses, black-eyed Susans, and coneflowers are just some examples of perennials that can easily be divided and used for new growth. Once you’ve cleaned up your flower beds, add a fresh layer of mulch. Doing so will not only keep your landscape looking neat and tidy throughout the winter, but it will also protect the soil and any roots and bulbs that lie beneath it. Mulch is like insulation for your gardens; it will prevent roots and bulbs from being damaged by winter’s frigid temperatures. It also helps retains moisture, further ensuring the health of the soil. By following these tips, you’ll keep your yard looking great all fall and winter long. Plus, you’ll be able to enjoy even more when the warm weather returns next year! Before you get started with your fall yard cleanup, rent a dumpster from Prestige Carting. You’ll need a place to put all of the leaves, branches, and other debris that you collect. Instead of worrying about struggling with those lawn and leaf bags, toss them in a dumpster and let the crew at Prestige Carting haul that debris away for you!